Dr. Mutuma Ruteere is a respected expert on issues of human rights and security. He has worked extensively with various actors including the government, civil society and private sector on issues of human rights, governance and security. He is a former UN Special Rapporteur on Racism and Xenophobia and is currently the Director Centre for Human Rights and Policy Studies. His most recent books are: “Confronting Violent Extremism in Kenya” and “Policing Reform in Africa”. Mutuma holds a PhD in Political Science from the University of Nebraska-Lincoln and a Master’s of Arts degree in Human Rights Theory and Practice from the University of Essex. Mutuma has experience designing and leading complex national and international research projects on security, policing and human rights. 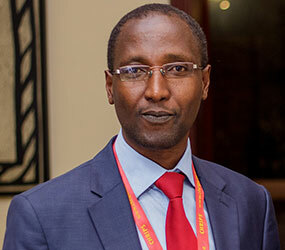 He has previously served as an Adjunct Lecturer of International Law at the University of Nairobi’s Institute of Diplomacy and International Studies and the United States International University (USIU).